The kids and I have spent the last 5 years traveling often and with that has come the opportunity to stay at lots of different places. These places have ranged from cabins within the National Parks to chain motels that you would find in any city, to local inns and 5 star hotels and resorts. What I love is that wherever we are we have gone the kids have enjoyed each place, especially when there is a pool. Each spot has a memory attached to it that makes us laugh and remember the journeys that we were on. These are some of our favorites along the way so far…. 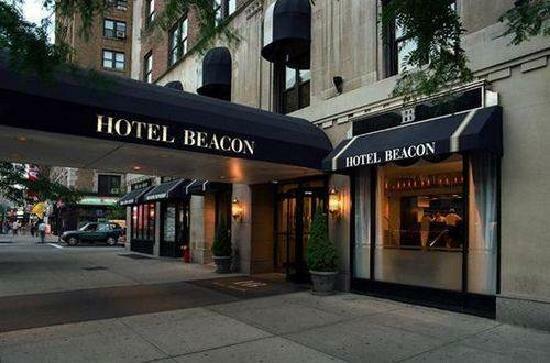 Hotel Beacon is located in a beautiful, tree-lined street with flower stands on the corners and local markets. The Beacon has 260 rooms and suites. Each room comes complete with a marble bathroom, fully-equipped kitchenette including microwave, coffeemaker, complimentary coffee and tea. The rooms are spacious with beautiful views of Central Park, the Hudson River and Midtown Manhattan. Three blocks away (72nd St.) from the hotel you can catch the redline anywhere you want to go in the city. Easy walking distance to the Natural History Museum and Central Park. This is a great family hotel!! The Manchester Grand Hyatt is a family-friendly hotel with fabulous waterfront location and backdoor access to Seaport Village. Fun activities like Saturday night poolside movies, sports courts and roasting marshmallows in the poolside firepits are a few of the things your family can enjoy. They have an amazing pool where kids can have fun for hours. For parents, there is the Marilyn Monroe Spa where you can rejuvenate and relax. The hotel also offers many different options for restaurants, all with stunning views and wonderful food. As a side note the kids and I stayed here over the Fourth of July and our room had a spectacular view of the Big Bay Boom fireworks show. Truly one of the very best fireworks show we’ve ever seen! What a bonus! What an incredible experience for the Lego lover in your family! Choose from three themed rooms: Pirate, ﻿﻿﻿﻿Kingdom or Adventure. In 2017, you will have the option of having a sleepover in their new LEGO Friends room, LEGOLAND, California's newest themed room. When arriving at the hotel, you are sent on a treasure hunt to answer questions from around the resort. When you've gathered all of the answers, the code opens the safe in your room and you find a great treasure for your kids inside! This resort has everything a child could ever want including amazing indoor Lego play spaces, fun activities, character meet & greets, morning buffet with ice cream sundaes, a whoopee cushion next to the first floor elevator that kids love to jump on—there is always a line! My family's favorite was the elevator—when the doors close, the lights dim, a disco ball lights up and disco music fills the space and voila! you're in the middle of an awesome dance party! LegoLand Resort also has an amazing pool with ﻿nightly movies﻿ and, best of all, when you stay at the resort you get to enter the park one hour earlier than the crowds. Stunning was the first thing I thought when we drove up to Turtle Bay Resort. Located on a peninsula on the Northern tip of Oahu, the vibe is completely different than other places we visited. The North Shore is home to big surfing, beautiful beaches and Ted's Bakery and its world famous chocolate-haupia pie. Turtle Bay Resort also has restaurants on-site and a Luau every Sunday night! Your family can choose from an assortment of on-site activities including a Kids & Teens Spa that offers manicures and pedicures, and facials. There's a ﻿surf school﻿ where they offer kids lessons and the instructor even brings along his two dogs that are surf dogs which is so fun to watch! There are horse stables on the grounds and when we visited, the resort was in the process of becoming certified as a therapeutic riding facility. Turtle Bay is a great family destination! Located on the east side of the park near the Grand Canyon of the Yellowstone River, Canyon Lodge is open from the beginning of June through early October. This lodge has the most accommodations of any of the other lodges in the park. We stayed in a western cabin, which was great! There is no internet, TV or air conditioner in rooms but they are very comfortable. I had one of the best nights of sleep I have ever had! Must have been the fresh air! I also brought a portable DVD so we were able to watch a movie before sleep, which the kids enjoyed. As with any of the park accommodations, I highly recommend you reserve your room a year in advance. They fill up quickly. Royal Towers is centrally located within the Atlantis, Paradise Island, Resort and it was a great option for the kids and I. The Royal Towers is very central to Aquaventure Water Park, the Mandara Spa and Dolphin Cay. The rooms were comfortable and the staff was very friendly!We stayed on a high floor overlooking the water park and ocean with a balcony and we absolutely loved the location. What an absolutely beautiful place to stay on Clearwater Beach! A four-star resort that caters to families. They offer a Children's Club called Camp Ridley that offers fun activities with Camp Coordinators where kids can learn about animals, take nature walks, have scavenger hunts, and do arts & crafts. The camp is four hours, giving parents the opportunity for some time on their own to visit the resort Spa. The resort also has beach-front fire pits for s'mores on the beach, a climate controlled pool where the kids can play and direct access to a private white sand beach for hours of fun in the sun. We loved it here and especially loved being so close to Clearwater Marine Aquarium, home to Winter, the Dolphin. Situated directly on the beach, you can open your windows and listen to the roaring surf as you fall to sleep. Of course, you also have sand in your bed, but it’s a small price to pay! The kids and I had a blast on the beach. This was our first time staying in a B&B as a family. I had always worried about my kids activity level in a small B&B but the owner Jim Osterfoss made us feel at home immediately! He welcomed us with a tour, a history lesson and hot chocolate chip cookies! We stayed in “Clara’s Room” named after Senator Warren’s wife. Senator Warren had purchased the home in 1910 and owned it until his death in 1929. The room was beautifully decorated. The mansion has twelve guest rooms, each with its own bathroom. Six rooms are in the main house and six are located in the Carriage House, which is now connected to the main house. The third floor tower room and snuggery are available for guest use, as is the workout room on the garden level. Public areas of the home include the Parlour, Sitting Room, Dining Room and Library as well as three conference rooms on the garden level. The grounds include a hot tub room, patio, fountain, and gardens. One of my favorite spots in the Inn is the Tower. A circular room on the third floor with a perfect view of the city of Cheyenne. I highly recommend a stay here! Arriving at The Four Seasons was like a mirage for the kids and I. We had just come from a week staying in the cabins within Yellowstone and Bryce Canyon enjoying nature and a night full of stars to the bright lights of Las Vegas and the luxury of the Four Seasons. I had chosen this hotel because it is one of the few hotels that does not have a casino within the hotel. I also loved the fact that you could use the water park associated with the Mandalay Bay Resort next door, which was such fun with a huge wave pool, lazy river, a beach and multiple pools. By far one of the fanciest spots the kids and I have stayed but such a treat! The kids and I stayed in an oceanfront suit with the extra kids room, which I loved. The rooms were very clean and spacious and the Italian Village was very central to everything. Our village has a huge pool and the beach is directly in front with great swimming and snorkling. The kids really loved this room, I’d say one of their favorite. This was by far one of my all time favorite places I stayed with the kids. I chose a 3rd floor Lodge Mountain View Room and the view was worth every penny! The Tetons are such a thing of beauty! This was a grand old lodge and the room, although not huge was so comfortable, clean and the beds were so comfortable. The Lodge has a great pool and the kids and I took a float trip down the snake river through the Lodge which included a picnic along the way. This was one of those places that I will remember forever. This is such a great place to stay in Seattle. Directly across the street is The Seattle Center which is home to multiple museums, shops, restaurants and parks. Our room had a fantastic view of The Space Needle. We have enjoyed the Pacific Science Center, Museum of Pop Culture, the Artist Playground and the International Fountain, which the kids love! We have also stayed closer to Pikes Place in Seattle but I much prefer this location with the kids. ​We lucked out and had a fabulous location for our lodge. We had lots of privacy with the rim to the canyon located only about 25 yards away. I thought these cabins were so adorable and some of the better ones within the National Parks. We had two full size beds. The rooms were very clean and I brought a DVD player for us to watch a movie before bed as there is no TV or Internet in the cabins. We were able to walk out to Sunrise Point with little difficulty to see one of the most amazing sunrises that I have ever seen. The kids also had a nice space out in front to play. This place reminded me of a place that Nicholas Sparks would film a movie. It felt remote and romantic with a beach out front that stretched for miles. There were humpback whales swimming out front and our room was so beautiful and comfortable. We were on the top floor in a suite with two queen beds, a walkout balcony, a cozy fireplace, a kitchenette and a super comfortable sitting area with a sofa and table. The kids and I spent lots of time on the beach and there were very few other people there when we visited in late August. This spot came at the end of our 5 week West Coast road trip and so it was a perfect spot to finish out the trip. Our main purpose to staying in Newport was to visit the world famous Oregon Coast Aquarium, which was so worth the trip. Salt Lake City was a passing through city for us on our way to Bryce Canyon National Park so we had less than 24 hours here but this is a hotel that I won’t forget. I was so surprised at the size of Salt Lake City and have put it on our list to return to explore further. The Little America Hotel was so beautifully furnished and very comfortable. Our room was very spacious and the beds were so comfortable. We arrived late and enjoyed a fabulous dinner at their onsite restaurant, Lucky H Bar and Grille and then we all wanted to take a swim. When we got to the rooftop pool the sun was setting and we were the only ones up there and the pool was amazing! It is a huge indoor/outdoor pool where you swim under a divider to get either in or out. It was so much fun and a memory that I will always have. Williamsburg is a wonderful place to vacation with your kids. There are an abundance of things that you and your family can enjoy. On our trip, we went there specifically to enjoy Busch Gardens and Water Country over a long weekend and we had a blast. While in Williamsburg, we stayed at The Kingsmill Resort. We had a one bedroom condo with plenty of room. We had a full kitchen and bought groceries and enjoyed the majority of our meals in our condo to save money. I chose the Kingsmill for the space it offered and proximity to Busch Garden. They also offer a kids camp in season for kids 5-12 and parents can enroll their kids either half or all day. Kingsmill also has a super fun River Pool with a lazy river and small water slide as well as an adult pool. The kids and I really enjoyed our time here. This is such a special spot. 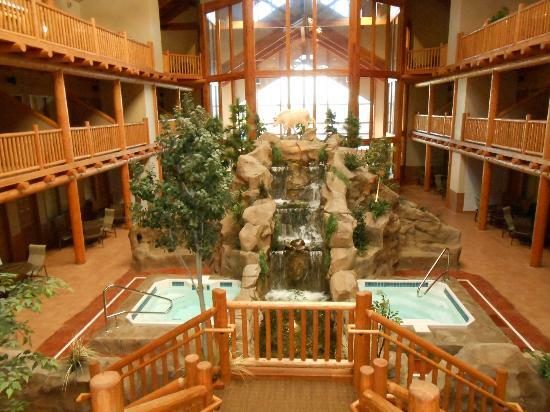 Located about 20 minutes from the hustle of downtown Bozeman, this lodge feels like a real escape. Steve Gamble, founder and owner does such a great job connecting with his guests. I did feel as though this would be a perfect spot for a couple but Steve was so welcoming of the kids and I and made our stay so enjoyable. We stayed in the new Trout Lodge and our room was so beautiful and comfortable. Each morning we had a delicious breakfast made for us that was included in our stay. Our room was on the bottom level so we were able to walk out to the lawn where we could play lawn games that were set up. We also splurged one night for a fantastic white tablecloth dinner at their gorgeous outdoor patio restaurant. It was a very lovely evening and stay. This is such a fun place to stay with your kids while visiting Boston. It is a 5 star hotel that really caters to families. The location is fabulous within walking distance to the New England Aquarium, The Boston Children’s Museum and Fannuel Hall. Rooms can either have a view of the city or of the river and airport. My daughter is a huge airplane lover so she really enjoyed sitting in the window before bed and watching the planes take off and land while enjoying her homemade chocolate chip cookies and milk delivered nightly by the hotel. We really loved this hotel! What we really loved about Alpenhof Lodge is that it is located next to the Jackson Hole Aerial Tram which was the purpose of our summer stop to Jackson Hole. The hotel itself turned out to be really fabulous. Their outdoor pool was really unique as the lining of the pool was a smooth metal surface that the kids and I found quite fascinating with our goggles. Also, the complimentary breakfast was out of this world delicious! The cost was very reasonable and it had a real European flair. We really enjoyed our time there especially the trip up the tram which was super fun for the kids and I. Every single room has the most amazing view of Northeast Harbor. The Kimball Terrace is certainly not the fanciest hotel but the location is spectacular. Northeast Harbor is located in the heart of Acadia National Park and considered a quieter location on Mount Desert Island. The town is filled with lovely shops and restaurants and there is access to the best hiking trails close by. The rooms are very simple but clean. They have a great pool and the attached restaurant is very tasty. Outside is plenty of room for your kids to run and play. I highly recommend The Kimball Terrace Inn if you and your family take a trip to Acadia and are looking for a quieter location. This is our absolute go to place every summer that we visit Bozeman. We reserve the same room, one of their long term apartments which has a seperate bedroom, full kitchen and indoor enclosed balcony. This room has tons of space. My kids love this place! The decor feels very local and homey. They have 8 hot tubs, a big pool and complimentary breakfast. The other thing that my kids love is the Koi Pond where they are able to get food at the front desk to feed them, a highlight for them. Our family loves the C’Mon Inn!